Access helps low-income residents of Jackson County, Oregon break the cycle of poverty by providing education and other tools to help them become self-sustaining. Through their Food Assistance Programs, Access helps to collect and distribute needed food throughout the year to seniors, youth, and the under served. In addition, Access also runs a Cooking Skills Education Program. An important part of this program, which was launched in 2015 with help from the Schwemm Family Foundation, has been the implementation of a series of “Cooking Matters” classes. These classes, which reach all ages of low-income residents, utilize experience chefs who demonstrate easily replicated cooking skills. 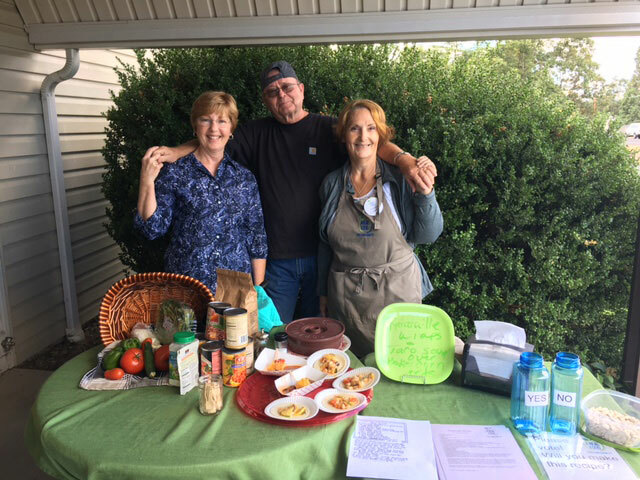 Along with these 6-week cooking courses, Access is providing numerous cooking demonstrations at grocery stores, food pantries, health center and farmers markets throughout the community. Funds from the Schwemm Family Foundation are being used to increase the number of these demonstrations, which have reached thousands of participants in an effort to help low income families learn, and sustain, the practices of growing, buying, storing, cooking, and ultimately eating a variety of healthy foods.